"Net Shape" It is the engineering design concept that drives our equipment. Vico's assortment of the most accurate, productive and reliable progressive headers includes models made by world leaders such as Asahi Sunac, National Machinery, Sakamura, Nedschroef and Asahi Okuma. These multistation forming machines with 4,5 and 6 forming dies provide us outstanding flexibility with high production abilities. With the means to cut off 15-32mm wire and with forming tonnages up to 550 tons, "Net Shape" designs of even the most highly toleranced precision are realized. 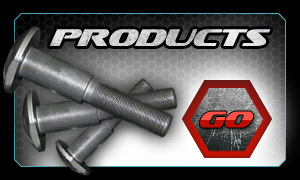 Efficient and precise turning capabilities at the highest possible level of quality. If your piece requires metal cutting we're prepared to do so with maximum productivity. Utilizing one of our many multi-spindle Acme or Euroturn collet chuckers or Miyano CNC lathes we will employ our experience and expertise in order to get the job done in the most effective method. 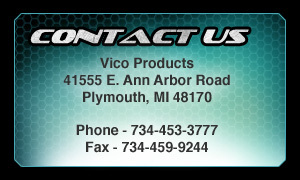 Vico's machining engineers strive to reduce cycle time in order to keep our cost down. Utilization of automation, high quality tooling and quick change over techniques minimize the typically high cost of secondary machining. 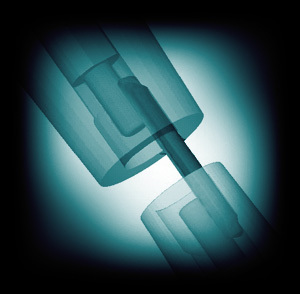 Optimized designs that take advantage of Vico's forming capabilities. 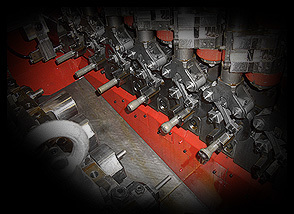 Successful tooling designs are often the key in the overall development of cold formed parts. 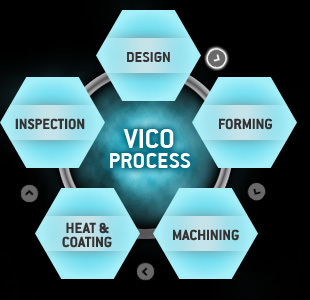 Vico Engineers possess the knowledge and proven experience to yield results. 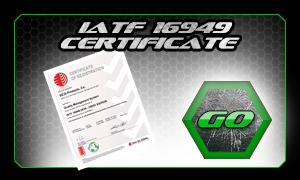 Development errors, poor planning and trouble shooting time in equipment do not leave you globally competitive. Vico's Engineers have the know-how to avoid these pit falls during the design and development phase of a part. Aided by the use of the simulation environment, Vico Engineers are using simulation software to determine tool stresses and material flow prior to hard tooling being made. Benefits seen through the use of simulation software include fewer faults in forming, less production down time, increased tool life and increased productivity all Advantages that reduce cost to our customers.